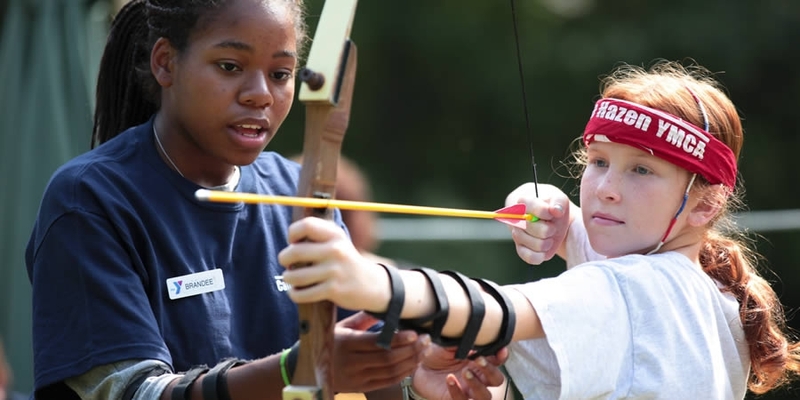 Camp Hazen is known as a leader in adventure based programs. With a staff that is well trained and experienced at producing the best results, Hazen is a great place for team building activities. We can tailor our adventure programs to meet the needs of your group. Coming to Camp Hazen YMCA is one of the best choices you'll ever make. Living in our camp community is a unique and enthralling experience. We strive to make every single camper's time here at Hazen the most memorable part of their year. Whether you're here with your School, University or Youth Group, from the minute campers arrive, they'll be immersed in the 'Hazen way'. We follow the "Challenge by Choice" philosophy, in which the individual explores their own personal limits. Risk taking and stepping outside comfort zones is encouraged by our staff in an effort to foster personal growth and self-understanding. While participating in challenging and unique experiences in a natural outdoor setting, people tend to show their true selves through their behaviors. The staff is trained to be observant and respectful, yet inquisitive about the choices of individuals and groups in an effort to aid insight and create opportunities for learning.